A visit to Surman Weston reveals a delightful small writer’s shed situated in the heart of London. Simply take a step inside to get the feel of this tiny space. The result inspires one to hide inside, lock the door, and set to reading a good book, which seems to be precisely what the goal of the owner happened to be. 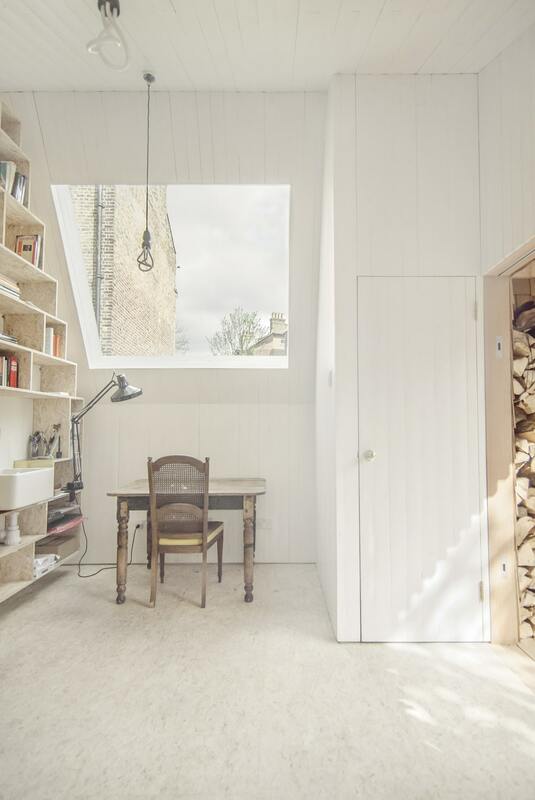 As for specifics, the designers say the inner facade of this Writer’s Shed is shingle-clad with a glazed sliding door that opens out to a covered veranda facing back towards the house. 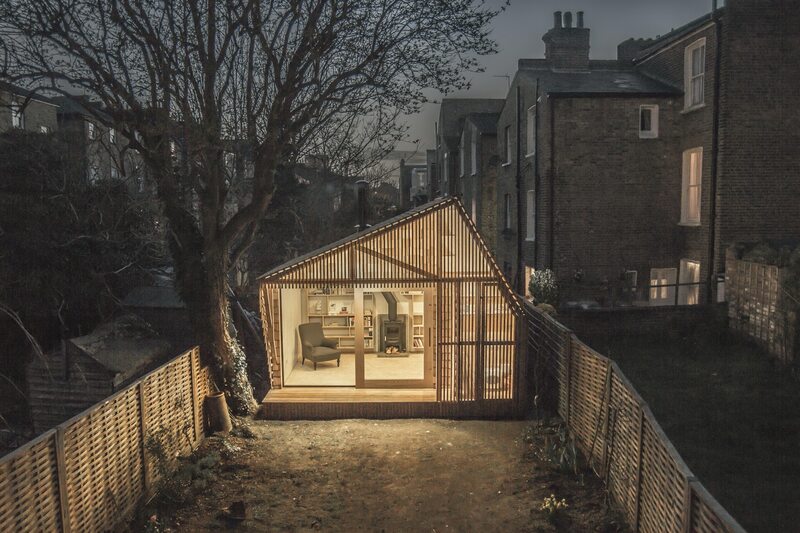 A cedar screen fronts the veranda and gaps between the narrow slats allow light to shine out at night. 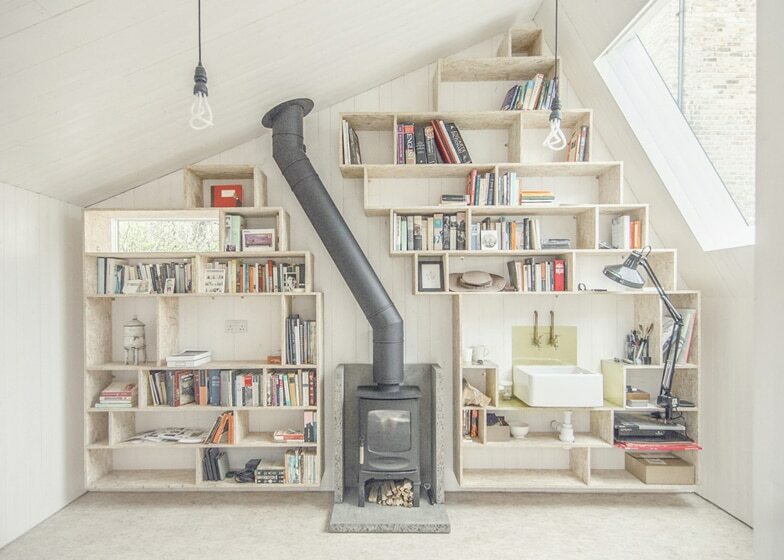 “We were commissioned by an author and illustrator to design & build a ’Writer’s Shed’. Capitalising on our multi-disciplinary backgrounds, we acted as designers, project managers, and lead contractors. “The design responds to the client’s passion for children’s literature and mythologies. The space is conceived as a haven in the city; a fairy-tale hut at the bottom of the garden where the client can retreat and immerse himself in his work. While the author and owner of this shed remains unnamed, I sense the work emerging from this shed might bear some sort of magic in the words and illustrations. Lucky the child who discovers the next work from this anonymous person and the fruits born to which this haven has been privy.